One of the themes we studied Along the Alphabet Path for the letter "B" was Blessings. And what a perfect fall time theme, with Thanksgiving right around the corner! 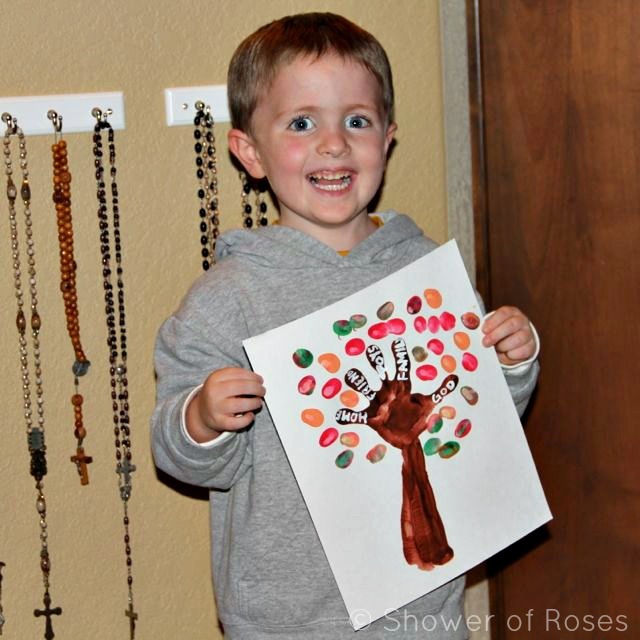 At first I was going to have him get started making this year's Thankful Tree, but since I didn't have quite enough time for that I came up with this quick and simple craft. 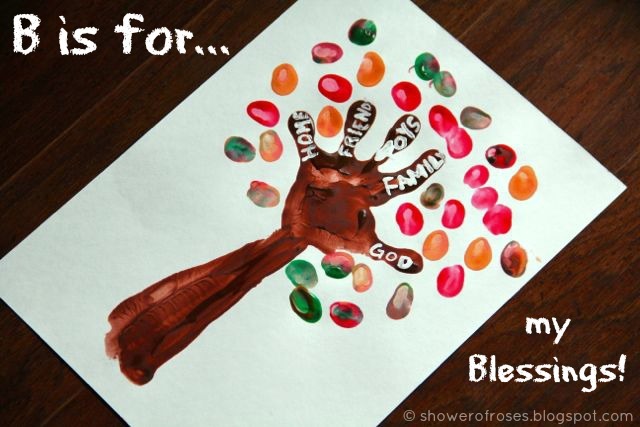 He had made something similar for his Valentine's Day Cards earlier this year, he just made fall colored "leaves" and added a few of his "Blessings" to the "Branches!" 1. 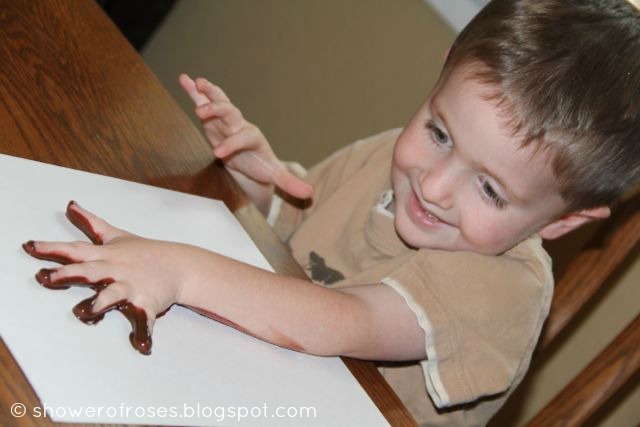 Cover hand and arm (up to the elbow) with brown finger paint. 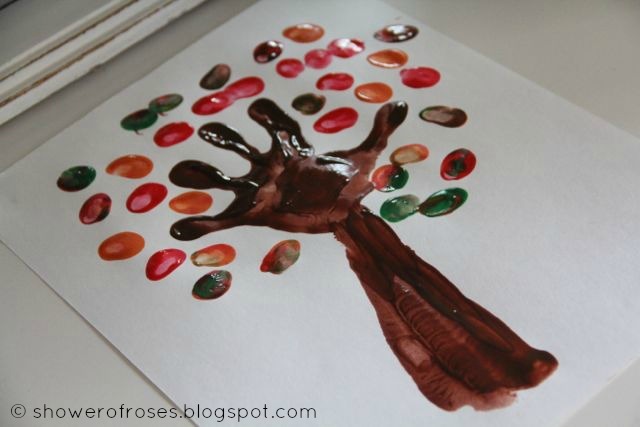 With fingers spread apart, press against paper to form the tree and branches. 2. 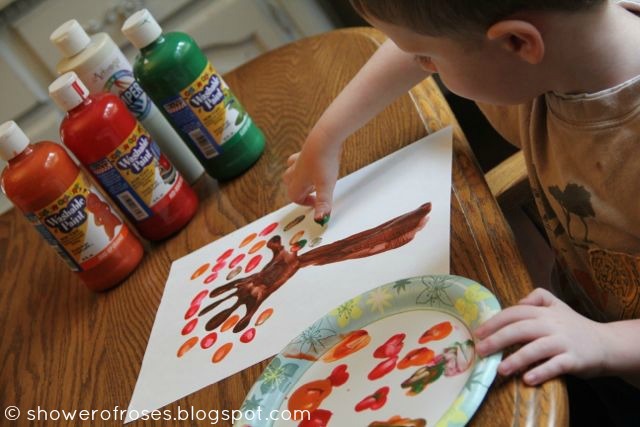 Using various colors of finger paint and your thumb, make leaves for the tree. I'll be back with more of our "B" themed activities soon! I think I've done these before, seems totally like a "Jamie" craft--easy!! Snuggle's painting turned out great!